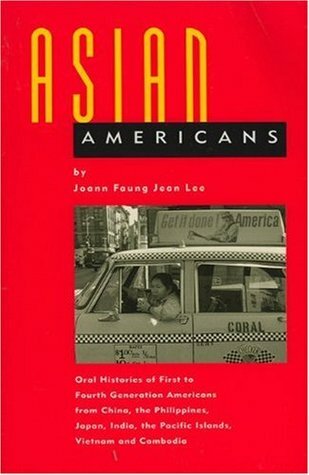 Joann Faung Jean Lee’s Asian Americans is a collection of interviews with Asians living in the American society. Readers encounter from first generation immigrants to fourth generation Asian Americans. They are different in only their legal status but also their emotional status for living in the United States. Some are very satisfied, and others are very dissatisfied with their life here, while many are in between or ambivalent, but even they hope for better future. The second section, “Aspects of Americanization,” has five subsections (Exodus; On the Bumppy Road; Americanization; Family; Religion and Rites within Family) to touch upon various aspects of Asian American life – how they came to America, what problems they face, how they maintain or withdraw from their Asian culture and/or religion here in the United States. Some tries to embrace his or her Asian identity – “To Be More Japanese” by Henry Moritsugu – and some embrace his or her American identity – “To Be More American” by Cao O. The last section introduces stories of interracial marriage couples, mostly what troubles they endured before and after they got married. It is particularly an interesting part of book, because it introduces not only the story of Asian spouse but also the story of his or her non-Asian spouse. In these stories, most Asian parents became upset and grieved, when they first found out that their child was dating a non-Asian, but later gave them a permission to marry. The Asian-Americans is a page-turner. Once you start reading it, you cannot put it down till the end, if you are an Asian American, because there is so much you can sympathize with and at the same time be irritated about. Many share their identity crisis, in their teens, of trying to become like white but being frustrated, because they could not do it. Betty Ann Bruno, a Chinese Hawaiian whose father is Irish Dutch, says, “I mean, the melting pot in America was a place where brown-skinned people should disappear and become as white as possible.”6 It is true that “All the subliminal messages . . . from television commercials, movies and magazines are that white is beautiful. All the models were white. You develop an image of what is beautiful.”7 In this white-dominant culture Asians who overcome their inferiority complex embrace their Asian identity as time pass, but those overcome by this complex still have a difficulty acknowledging their Asian identity. The Asian Americans is a bit outdated, because it is first published in 1991. Joann Faung Jean Lee has published two more books subsequently in 2000, Asian American Actors, and in 2009, Asian Americans in the 21st Century. Stories found in it, therefore, can be irrelevant to many Asians living in the United States, because some are stories of their grandparents or parents. Problems that they endured, such as legal status and language, may not be problems for contemporary 2nd, 3rd or 4th Asian Americans. But, for some these issues are still relevant and haunting them in everyday life at schools and workplaces. Above all, the beast of discrimination always lurks in ambush for its vulnerable victim, which happens to be often minorities including Asians.8 History is precious, because from history we learn what (not) to do so, when similar things happen. Therefore, there is still much need to take heed of the stories in the Asian Americans.